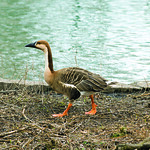 The swan goose is the largest goose species, reaching up to three feet in length. 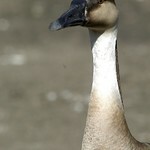 It displays a white throat and a dark brown crown extending along the back of the neck to the wings. 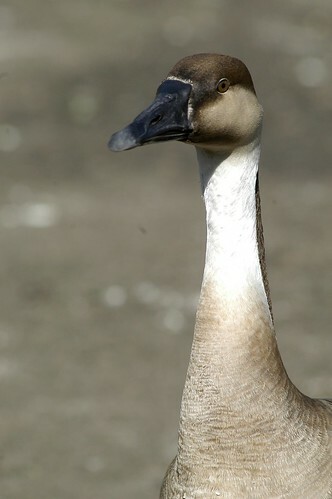 The swan goose has a black bill and a chestnut-colored chest. 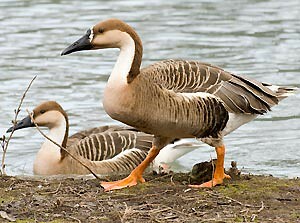 The swan goose can be found throughout southeastern Russia, Mongolia, China, North Korea and South Korea. 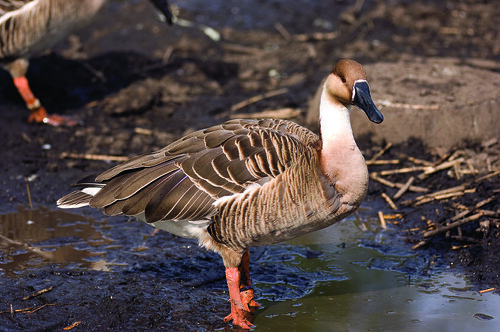 The swan goose is vulnerable due to hunting and habitat destruction. Much of the species' breeding grounds have been lost to agriculture. 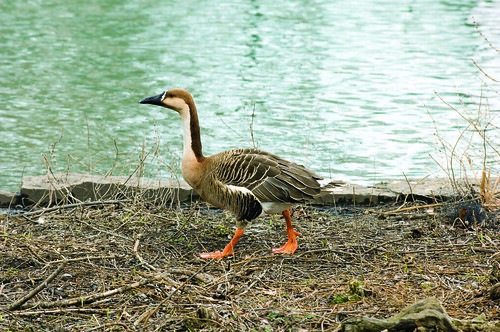 Lincoln Park Zoo participates in the Swan Goose Species Survival Plan®, a shared conservation effort by zoos throughout the Association of Zoos and Aquariums. 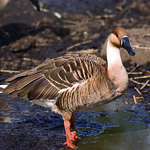 The species lives on steppe wetlands, lakes and fast-flowing rivers. 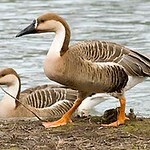 The swan goose feeds primarily on plants, grazing on land for grasses and sedges. Females lays 5-10 eggs, which are incubated for a month before hatching. A swan goose chick was among the healthy hatches in spring 2016. President and CEO Kevin Bell shares more in a Post from the President.